View Thread: TP-HILL900 map causes crash? I opened a map TP-HILL900 on a local server (not dedicated) but I created it on Internet not Lan. It caused my game to crash. (I use latest VCstarter1.7beta). 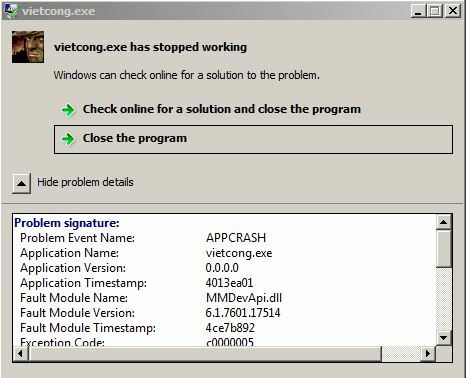 Now, when I try to run VC, Editor or Dev Editor - they all crash before the Settings dialog appears. Has anyone seen this before or have an idea how to fix? Thank you xhc - great advice.